Tripp Custom Builders is an interior architectural design firm with a knack for creative artistry. We specialize in projects that include remodels, brand-new custom homes, custom home additions, & custom home rebuilds. We place a high value on customer service and would love to help you create the home or addition of your dreams. Check out our work and give us a call! We look forward to working with you! 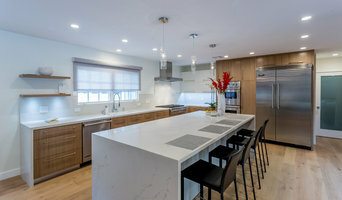 We are a Design/Build and Construction Management firm offering a unique process of designing, building and managing luxury custom home projects, complete home remodeling, room additions and custom kitchen and bath remodeling projects. We also offer custom cabinetry and design layout from our major in house cabinet manufacturers and custom cabinet maker partners for every room of the house. Our Design/Build approach brings together you our client, along with or design and construction professionals who work together to help you create and stick to your budget, interpreting your vision and bringing it to fruition, thereby making the remodeling experience an enjoyable one by bringing you peace of mind knowing our team of experts is there to help handle your entire building and remodeling needs in a convenient “one stop shop” every step of the way. We oversee and are directly responsible for the design, build and management of the entire project. We also specialize in structural challenges for multi story and foundation issues. This delivers significant advantages to you by providing your project with: •Establishing and maintaining project budget. •Structural integrity (with our team of structural engineers). •Quality control of workmanship, materials and sub contractors. •One company accountability and continuity throughout the entire construction process. Taking care of these important major steps with our design/build/management approach allows us to lookout for your best interest letting you focus on other things instead of worrying whether or not each stage of the project is advancing according to plan and on schedule while delivering a turnkey product of the utmost quality you can be proud to show. Our company can also work with your own established design team in interpreting their vision and bringing it to fruition as well. 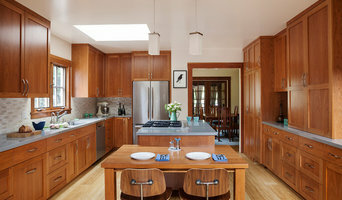 Temescal Design Build offers Bay Area homeowners a collaborative and integrated design and construction experience. As an Architectural and General Contracting service, our customers expectations surrounding design and budget are integral to the entire process. Understanding the home is a place for personal expression and retreat, we provide clients with both professional guidance and project flexibility. Our commitment to our mission statement means clients can expect nothing but uninterrupted energy and enthusiasm during the entire design/build process. Founder Ben Obriecht brings a background in carpentry, sustainability and design. He brings his complete attention to every job from the first concept meeting to the finishing touch. 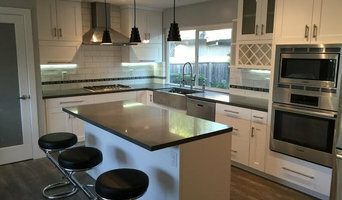 Clyde Construction is an artisan builder of custom residential homes in the San Francisco North Bay Area, focused primarily on new construction and major renovations in Napa and Sonoma Counties. Our experience spans a wide range of unique projects, from kitchen and bath remodels to custom home building, major renovations and historic restoration. 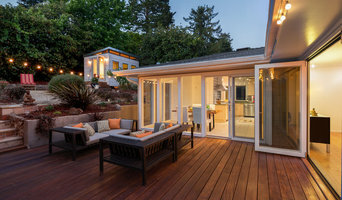 Owner and licensed general contractor Andrew Clyde began his career as a carpenter working on Victorian homes in San Francisco over 30 years ago. Through his involvement with these finely-built structures from another era, he developed a love for authentic restoration and fine craftsmanship. After starting a small construction company in 1981, Andrew began managing his own renovation projects with a team of skilled carpenters and tradesmen. He relocated to Napa Valley in the mid-1980s, where he became involved in a wide range of unique construction projects from high-end renovations to beautiful custom homes, always bringing uncompromising quality to each endeavor. We handle all aspects of new home construction and remodeling. By partnering with local architects and engineers, we ensure that appropriate plans are drawn up for each project, and costs are minimized by utilizing all team resources to ensure we build you the home of your dreams. Innovo Builders is a highly motivated construction and remodeling company focused on bringing state of the art Project Management methodologies together with innovative building solutions. Thanks to our location in the heart of Silicon Valley we truly understand our clients' needs -- high quality, efficient and innovative solutions characteristic of the high tech industry. We value our clients' time and always seek new collaborative platforms to optimize project duration, quality and budget. We know communication is critical in this business so we always work to keep clients informed. We welcome clients to be part of our creative and innovative team as we transform ideas into friendly, enjoyable and professional projects. We are passionate about what we do and that is reflected in our products and services. We build and remodel homes to meet our clients' needs and exceed their expectations. We always keep in mind that what we build is going to become part of our clients' lives, and that inspires us to bring passion to everything we do. Brecht Construction is family owned company that has been in business over 25 years, We can help you design the home of your dreams or any one room in your home. Our services include architectural drawings. Hi, I’m Jules Nolet, a home designer and builder from Atherton, California. I’ve been building fine homes in the Silicon Valley for about 15 years. My approach is to manage the entire process – everything, starting with design concepts to construction management and interior design. I do it all. And with a lot of pride. If you’d like to see some of my work, please visit my website. One of the homes featured has a really special place in my heart – my own recently completed traditional French home, what I call an “Oasis in the heart of Silicon Valley.” Take a look at www.JulesArtofLiving.com.